In the Fall 2015 issue of Preservation magazine, we highlight a restored 1880 schoolhouse-turned-residence in Missouri that found a long list of admirers (and visitors) on the rental website Airbnb.com. The idea inspired us, so we took a closer look at the site and found a few more historic buildings just waiting for you history hounds in need of a little R and R.
Named after a San Francisco architect from the Gold Rush era, the National Register-listed Russell Warren House is one of the few surviving homes of its kind. Many flat-front Italianate homes like this one were destroyed in the San Francisco earthquake and fire in 1906. Warren built the house in the 1860s with his offices on the first floor and the family residence on the second. Since then, the first floor has been converted to another residence. Alison and Dave, who acquired the house in 2007, have found several historic artifacts on site, including original property drawings and old photos of the house. 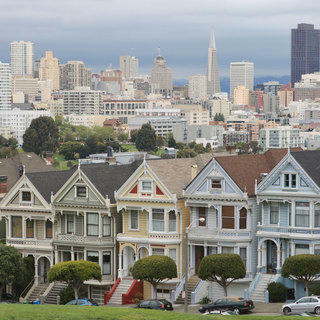 They began renting the property through Airbnb.com in 2011. “[We] like to imagine what it must have been like to them to live here back then,” Alison says. 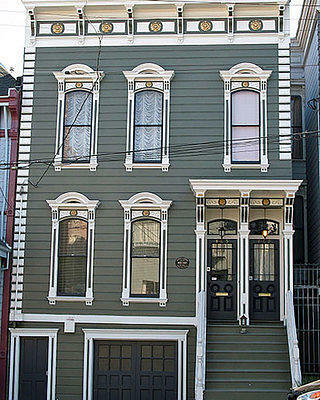 The Russell Warren House is one of the few flat-front Italianate homes still standing in San Francisco. 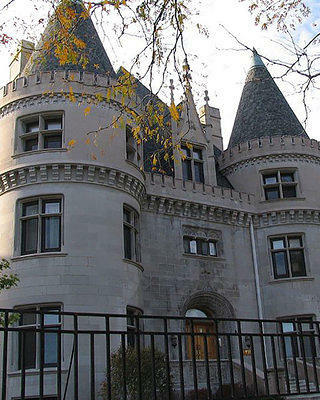 The Chateau-style entrance to the McGill House was inspired by the design of French castles. The Hyde Park and Kenwood communities in Chicago are well-known for their luxurious mansions, such as the McGill House. The property was built by architect Henry Ives Cobb -- who later became heavily involved in the planning of the University of Chicago’s campus -- in 1891 as the home of Dr. John A. McGill, a physician and entrepreneur. The McGill House takes after the Chateau style, which is inspired by the splendor of French castles. The McGill House was designated a Chicago landmark in 2006, and the property is now a set of condos with extra space rented out via Airbnb. It is not clear where the Balto Building got its name, but it has served many businesses well and is now a private residence that occasionaly opens up rental space. In the middle of a typical Minneapolis block of houses lies what is known as the Balto Building. Built in 1901, it was first used as a telephone exchange for the Northwestern Bell Telephone Company. 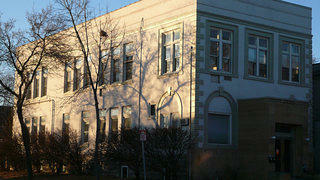 Ownership changed in 1935 when the Minnesota Commercial Men’s Association, an insurance broker, moved in. A string of insurance companies continued to occupy the site until the 1980s when the building was converted to a women’s center. The property is now owned by a preservationist who has spent countless hours over the past decade transforming the run-down structure into a home and rental space.